Kohler is a brand known for manufacturing some of the revolutionary and elegant toilets in the industry. Whether it be the Kohler dual flush toilet, Kohler Highline toilet or any of the best Kohler toilet, they always come up with the perfect bathroom fixture for you that complements its overall decor. Kohler corporation has 48 manufacturing location worldwide. It brings not only simple yet decorative bathroom products. Making of a bathtub was just the beginning of this company. With the passage of time, it accomplishes the mission of gracious living for every customer. One thing which you like the most about its products is that they bring charm and beauty to space. Below I have shared top 10 Kohler toilet reviews. Though ten of these recommendations lags no feature, still you can go through an individual review and make a better decision for yourself based on the dimensions of your bathroom, budget, and basic requirements. You can check kohler highline vs cimarron toilet as well in the next reviews. Prepare yourself to find the best toilets today! 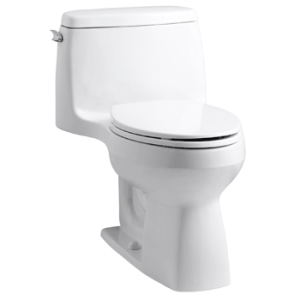 The Kohler 3810-0 Santa Rosa Comfort Height Elongated 1.28 GPF Toilet (see latest price) comes in 7 different and elegant colors to choose from. The price varies from color to color. The company has used imported material in its construction, and this makes it a durable choice for you. The tank is attached to the toilet seat, which means it is a one-piece toilet and thus easy to install in your bathroom. This Kohler Toilet has a smooth surface that not only prevents the growth of bacteria and germs and also makes it easier for you to clean it. 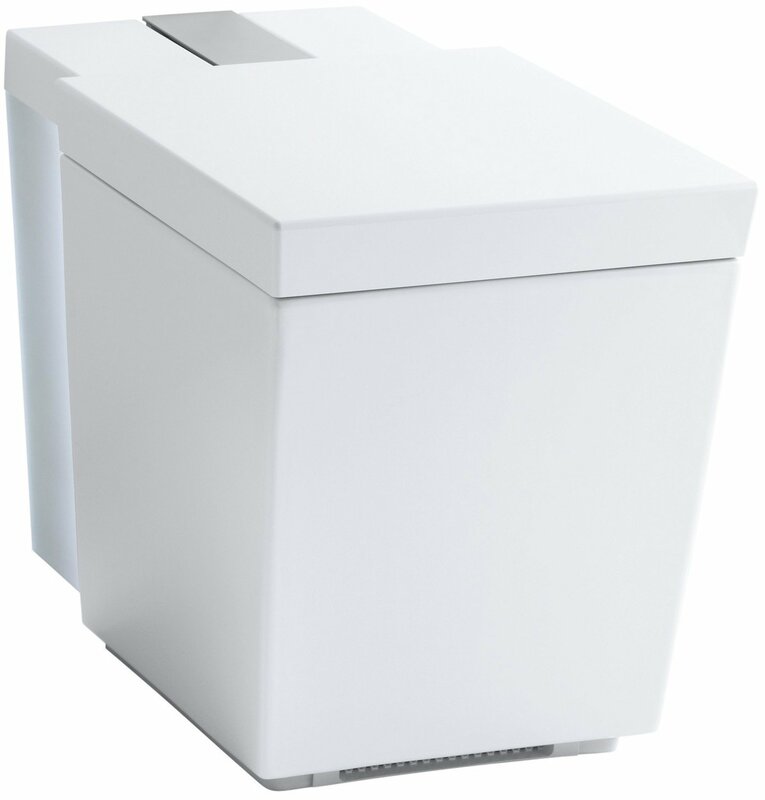 Its comfortable height makes this toilet suitable for all age groups, and the AquaPiston canister pushed the water from all sides into the bowl, making it more efficient than standard flushes. Also, it uses only 1.28 gallons per flush and has a 90% less exposed seal material than 3-inch flapper that prevents any type of leaks. 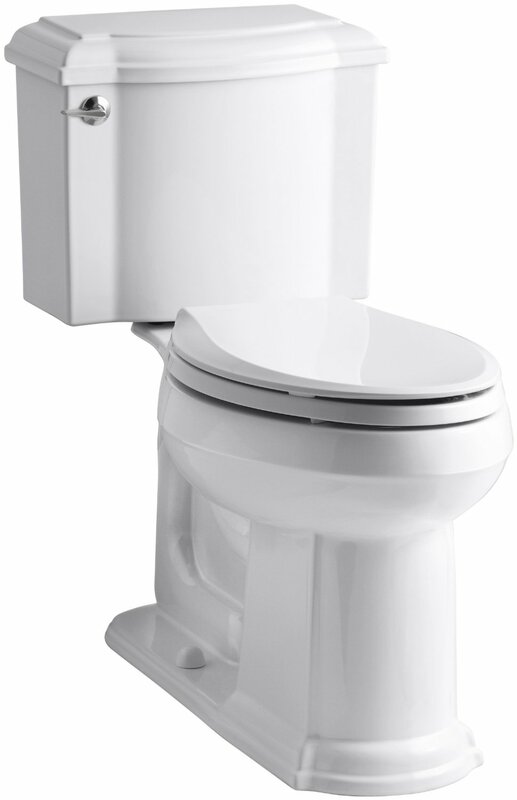 If properly maintained, the Kohler 3810-0 Santa Rosa Comfort Height Elongated 1.28 GPF Toilet would be your “LONG-TERM” investment. When it comes to cleaning, its bowl and valve can remove solid waste in no time. It doesn’t have super glaze but yet you can see the chic shine on the surface. It is a one-piece unit that is easy to clean. Another good thing about this toilet is that you don’t have to face clogging issue. You can detach the seat anytime you like for proper cleaning. The seat soft is included in the model and it closes without any noise. The height of the seat is very comfortable. You can get on and off effortlessly. Read complete kohler santa rosa toilet review here. Check out its price, discount offer and more details on Amazon. While the Kohler K-14247-FL-0 English Trellis Design on Portrait Toilet (see latest price) is quite a pricey model from Kohler, but it’s worth the amount paid for. It has the English chintz-inspired pattern known as the Trellis that shows florals climbing the fixture. This design has been carefully built into the toilet’s surface and is surely a great piece of art. Kohler could have offered more background colors as well; I personally feel that the Trellis design suits best on a white surface. The toilet itself is an efficient one. The tank is attached to the two-piece elongated bowl and seat, overall making it a single unit to install. Its unique Ingenium® flushing system is very robust and ensures a crystal clear flush every time. Moreover, it uses less water per flush which makes it water efficient and the unique flushing mechanism pushed the water with force into the bowl ensuring that all the waste material passes through quickly. One thing that I don’t like about this model is it being a bit heavier than normal Kohler Toilets. This requires you to handle it with care. 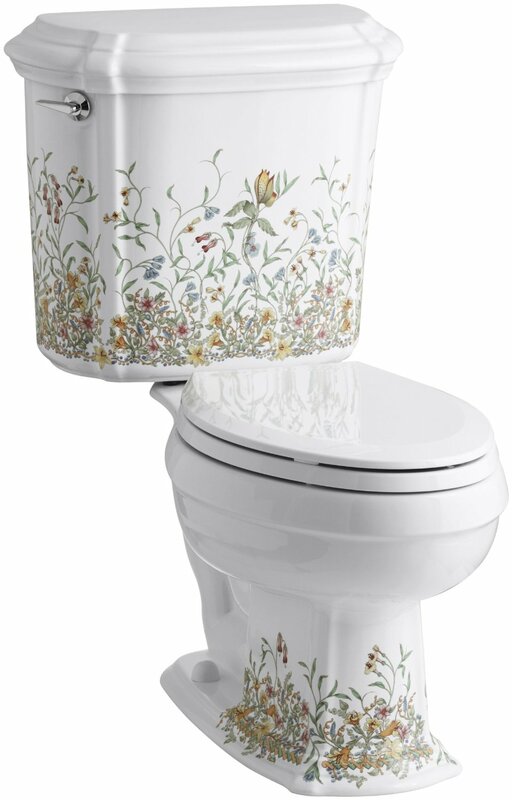 If you need a unique design two-piece toilet in your bathroom then this wildflower pattern on the white background seems like a great idea. No matter you set this toilet at what place, it would amplify beauty and style to a great extent. Insuliner tank liner drops downs condensations on the tank and therefore you can set this tank to a place where the humidity level is high. If you make a combination of this toilet with other products of portrait collection, you would be able to create a perfect English Trellis theme in your bathroom. This toilet is designed with single flush gravity, therefore, force of gravity and a well-designed tank, bowl and trap way would create a powerful siphon as soon as you use flush. Check out more details on Amazon. Supply line not included, you need to buy it separately. 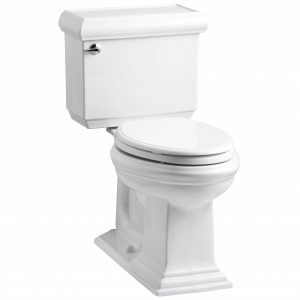 If you a picky kind of individual then the KOHLER K-3819-96 Memoirs Classic Comfort Height Two-Piece Elongated 1.6 Gallon Toilet (see latest price) is perfect for you. It comes in 7 different and beautiful colors each with different price tags mainly because of the color factor, with the black being the most expensive and elegant as well. It features a comfortable height and an elongated seat that makes it comfortable for you to sit on. For flushing out the waste with pressure, it uses the exclusive Class Five ® technology, and you get a clean bowl after every flush. The flushing system itself is water efficient as it uses only 1.6 Gallon. KOHLER has made its installation pretty much simple. Only 3-bolt installation is required. Even if you are not that kind of a creative geek you can still install it easily following the instruction manual. The smooth surface prevents debris and mold growth on different parts making it easier for you to clean it. Check out its price and more details on Amazon. This design is most suitable for those homeowners who pay attention to classic design and model. This toilet is created with the sophistication of traditional design, rich details, and architectural touch. This toilet is suitable for both large and small bathrooms, even you can set them into powder rooms. If you want to enhance your bathroom’s aesthetic appeal, then you should make a combination of this toilet with other products of Memoirs collection with Classic design. This toilet is designed with Aquapiston canister, therefore, water flows into the bowl at 360 degrees or simply from all sides. It boosts up the power of flush and results comes in the form of the clean bowl. Learn more about this in complete Kohler memoirs toilet review. If you are looking for beauty and elegance with an eye-popping glamor, beauty and decor then go for the KOHLER K-3978-0 Wellworth Elongated 1.6 GPF Toilet (see latest price). It’s a comfortable and elongated toilet and comes as a single unit. 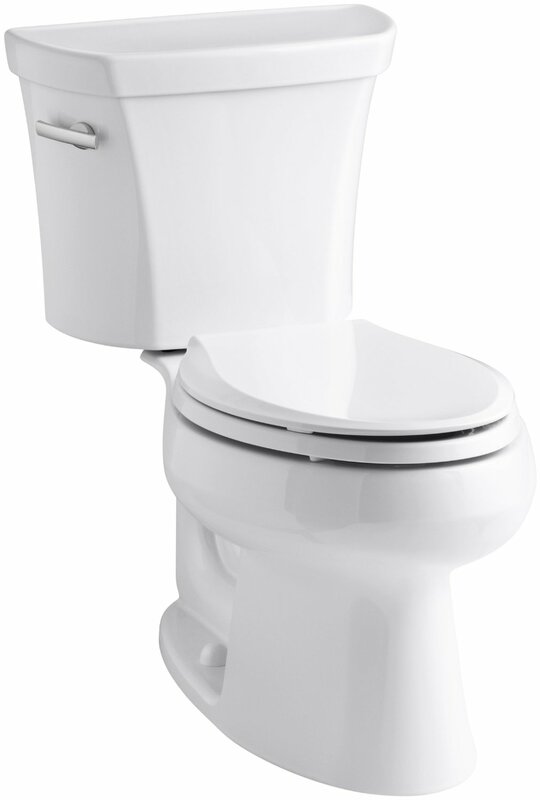 This model also uses the Class Five ® technology for flushing out the waste material with full pressure. When you flush the tank, the water is pushed with force using the natural force of gravity into the bowl, and this ensures a neat and clean toilet after every flush. The company has made the ergonomics smart and compact so that it can easily fit in small spaces as well. While it is a single piece toilet and a bit heavy as well, still it requires only three-bolt installation that saves time and is pretty simple as well. Also, the company has ensured that the toilet doesn’t have any hidden corners or spaces where debris or mold can grow out of your sight. In this way, you can easily clean it whenever you want to. For ensuring its long life, I recommend to clean it twice in a week. Check out its price and more details on Amazon. 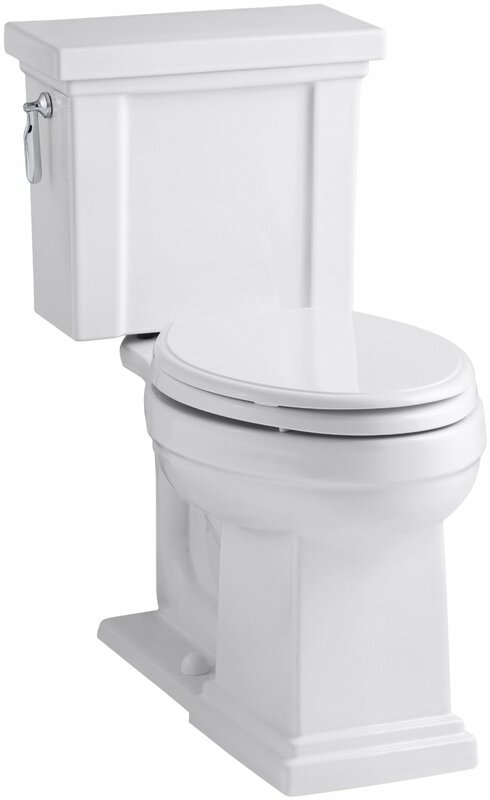 Kohler Wellworth Gallon toilet is designed with single flush gravity that does power flushing. Its canister flush valve uses the natural force of gravity and therefore you can enjoy the power of flushing performance. One thing which is a plus point of this toilet is its class-five flushing technology since it enhances rinsing power and keeps the bowl super clean. When you want to set a proper bathroom theme, you can make its combination with other products from Wellworth collection. Continue reading Kohler wellworth toilet review. Kohler K-3713-0 Highline Classic Comfort Height Two-Piece Elongated (see latest price) is the one of best Kohler Toilet, which comes with a lot of features and powerful functioning. Its so simple to install as there’s complete installation that is really easy to understand. Amazing thing about KOHLER Highline toilet is, its size is almost 10 inches. Its one of the best toilets in the market right now with powerful flushing system. Its made with Vitrious China metrial that is really great for long life and beautiful shining. It comes in various colors. You can choose which one fits your bathroom color and your needs. One year limited warranty is provided with this toilet and it is WaterSense verified. Check out its price on amazon. If you are looking for a budget-friendly toilet with the stunning design then you can go straight to Kohler Highline classic. Kohler promoted this toilet as “complete solution”. It means that once you buy this toilet, you don’t have to buy anything from outside. You will get tank, bowl, seat, lid, wax-ring, and t-bolts. The lid and seat can be removed anytime for thorough cleaning. As far as the operation of the toilet is concerned, you don’t have to flush multiple times just to get rid of lots of solid waste and tissue paper. Its natural gravity force technology cleans the bowl with just one powerful flush. No need to press the flush button again and again. Difficult to install, manual instructions are not clear. ​This is short review of Kohler Cimarron toilet. In this review, I will be sharing top features and functions you need to know. Keep reading about it! Its one of the most used toilets by Kohler due to its best performance and great reviews by customers on amazon. 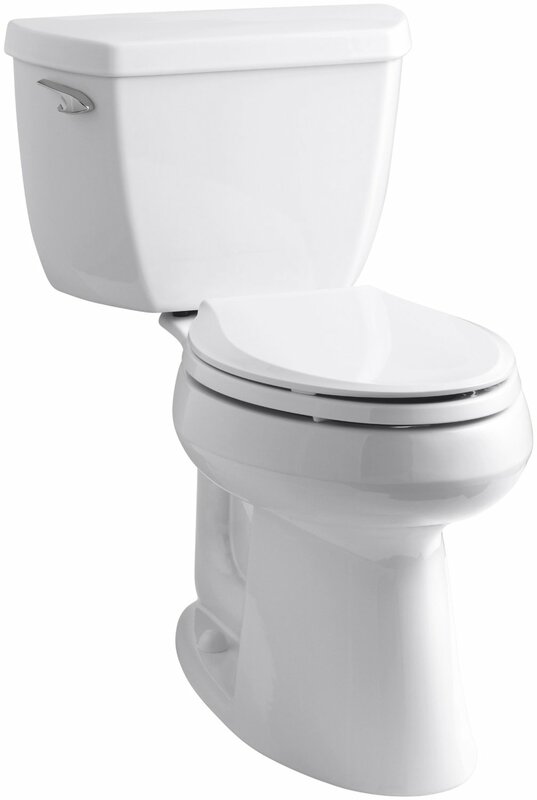 Kohler Cimarron Round toilet comes with one year limited warranty and its certified by WaterSense. Its water consumption is almost low which is 1.28 GPF. The KOHLER K-3851-0 Cimarron Comfort Height Two-Piece Round-Front 1.28 GPF Toilet (see latest price) features Aqua Piston Flushing system that cleans off all the waste with a single flush. The trip lever is located on the left hand. 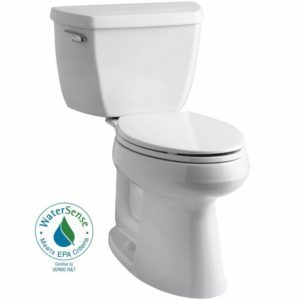 Moreover, its Water Sense toilets meet the EPA flushing guidelines and use only 1.6 GPF making it water efficient toilet. The Durable canister design ensures a leak-free performance lasting for decades, and its white color won’t fade away. The comfortable heights make it ideal for age groups, especially for the elderly individuals. Check outs its price and more details on Amazon. This toilet is available on free shipping offer exclusively today. This toilet is suitable for small rooms and powder rooms. You can find Cimarron with the elongated shape as well, in case you want to set it in a large bathroom space. However, for the elongated shape, you need to pay a little more. This bowl is designed with AquaPiston technology, therefore, water comes from all sides and clean the bowl at a fast speed. In addition, its light touch canister flush ends the need of a flapper since it brings lower actuation force. You can combine this toilet with other products and then get a chic color scheme and design look. This toilet is quite easy to install, all you have to do is to follow the instruction manual. DryLock System saves the time of installation and also prevents leakage. This same model comes in Elongated Shape too. KOHLER K-3609-0 Cimarron Comfort Height Elongated Toilet (see latest price) with AquaPiston has almost same features as round one. But difference is only of shape, and due to shape there’s a small variations of price. KOHLER Cimarron Elongated is also good looking in terms of shape, check out its price and other pictures on amazon. If you are ready to spend a little more than no doubt elongated model of Cimarron collection has a more eye-catching look. Once you install this toilet, you don’t have to do much for the cleaning. Actually, this toilet is designed with natural gravity force and AquaPiston technology, therefore it cleans the whole bowl in a matter of seconds. You don’t need to flush out the solid waste in multiple stages. Do flushing one time and leave your toilet crystal clean; this is all because of its patented flush engine and a powerful/plug-free flush. Many homeowners remain concern about water conservation since can opt for 1.28-gallon flush which saves water up to 16,500 gallons per year. This toilet can’t be installed in small and powder rooms. If you’ve been disappointed buying a toilet just because you didn’t get color options on the list, then go for the KOHLER K-3950-0 Tresham Comfort Height Two-Piece Elongated 1.28 GPF Toilet (see latest price) that comes in over 12 beautiful and elegant colors to choose from. You’ll feel more comfortable because of its elongated bowl that gives a slight increase in the seating area as compared to the normal toilets. Its WaterSense meets the EPA flushing guidelines, and it consumes only 1.28 GPF that makes it a water efficient solution for you. The exclusive AquaPiston technology forces the water from all sides into the bowl and ensures a clean toilet after every flush. Its durable design won’t make the toilet leak and being a single unit; it becomes easier for you to install it in the bathroom. Check out its price and more details on Amazon. If you are budget conscious and still want all the features, then KOHLER K-3551-0 Archer Comfort Height Two-Piece Elongated 1.28 GPF Toilet (see latest price) is your ideal option. It offers multiple color options without any additional charges and boasts a comfort height toilet is making it suitable for all age groups. Just like the previous model, it uses 20 percent less water i-e 1.28 GPF only. This flushing system is backed with AquaPiston technology that forces the water from all sides and can easily move the heaviest waste materials through the bowl and into the drainage pipe. What I love is that the company has beautifully crafted out its design with no hidden places where debris, mold, and mildew can grow causing the smell. This also makes it convenient for you to wash it in less time and less effort. It also boasts a durable canister design is making it leak-free for decades. 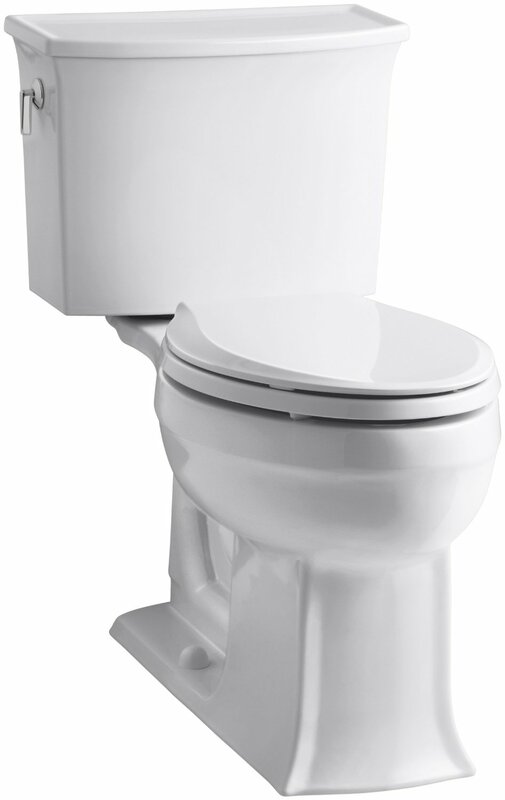 The KOHLER K-3551-0 Archer Comfort Height Two-Piece Elongated 1.28 GPF Toilet is a two-piece toilet. You have to install the tank and seat separately. Check out its price and more details on Amazon. When it comes to installation of this toilet, you can do the installation quickly. Drylock system saves the time. If you do it the right way, you don’t have to worry about toilet leakage problem at all. 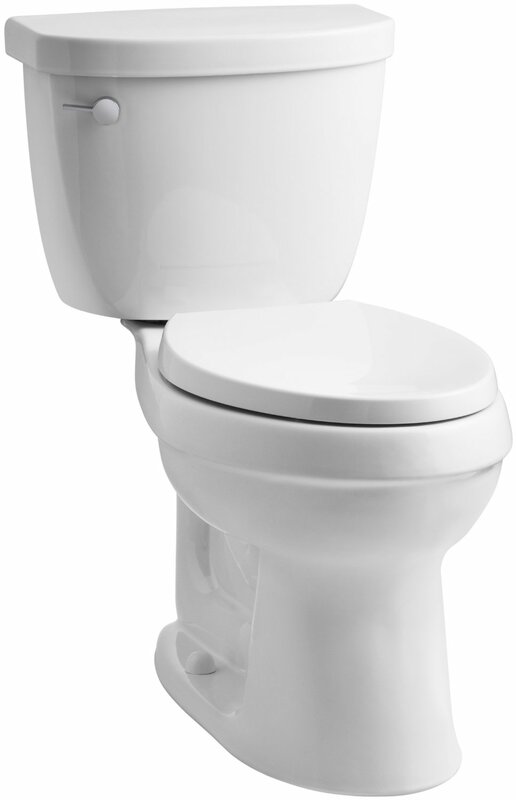 This flush comes with WaterSense Certification, therefore, you can save the water on flushing. Water conservation is made possible through advanced technology and engineering. 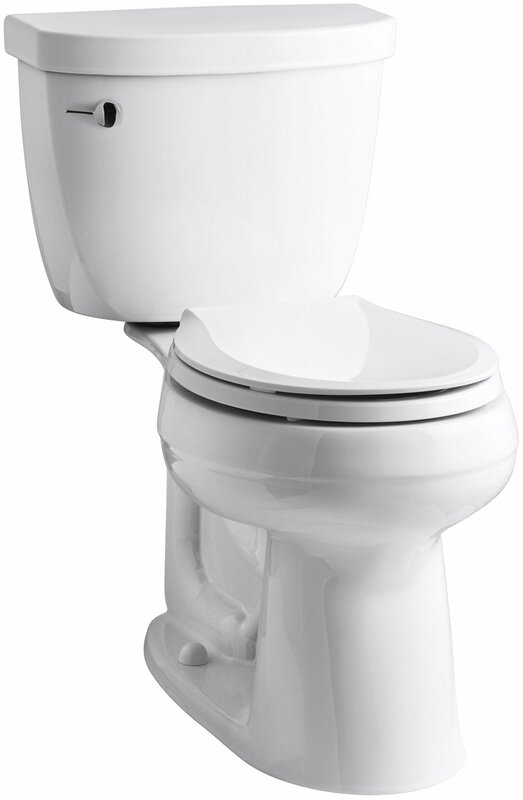 Wide flush valve and single flush gravity let you get rid of debris and solid waste within a few minutes. Its elongated seat is designed with comfort height, therefore you feel comfy to get on and off this seat. If you have a specific theme in mind then you can set it easily, since this product is available in more than 9 different shades. Not suitable for public bathroom and small spaces. Although KOHLER K-3837-0 Devonshire Comfort Height Two-Piece Elongated 1.28 GPF Toilet (see latest price) is priced a slightly more due to the elegant color options and some advanced technology being used, still it is a great bargain for you. The most popular and beautiful color is black, and it’s the most expensive one as well. 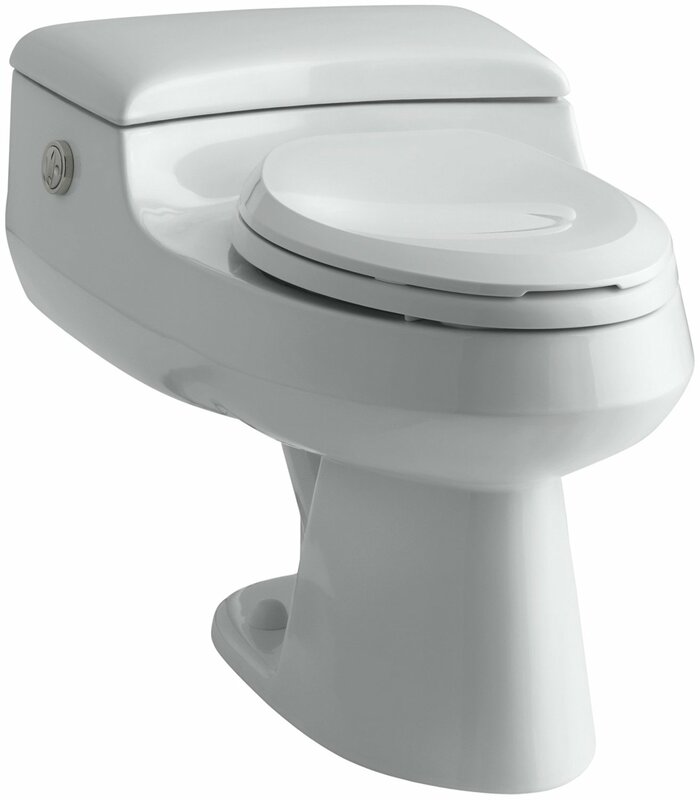 The elongated toilet height makes it comfortable for all individuals regarding standing and sitting on its chair. I noticed that the bowl is a bit narrow, 12-inch rough-in while most of the toilets are 14 to 16 but still it feels comfortable to sit on. KOHLER says that they had made its ergonomics compact so it can easily fit in small spaces. It requires a simple three-bolt installation with the tank pre-installed with the seat making it heavier, but saving time at the time of setup. It has been built with Class Five® technology that guarantees to move big volume of waste material easily ensuring a clean bowl every time. While I don’t think you will need any technical skills to install it, but you can always hire an expert to carry out the task. Check out its price and more details on Amazon. Kohler Devonshire toilet is designed with elongated bowl and comfort height, so make it a perfect model for everyday use by every person. It gets Water-Sense Certification that’s mean you can use less water and do flushing properly as compared to the standard toilet. Its durable and light touch canister flush has Aqua-piston technology, therefore, water comes out of the bowl from all sides at 360-degree angle. This power flush keeps the bowl surface clean and tidy. I thought to add something a bit different in the list from KOHLER and found the KOHLER K-3901-0 Numi Comfort Height One-Piece Elongated 1.28 GPF Toilet Seat (see latest price). It is a nice and sleek looking toilet seat with a compact design and is built with an integrated bidet. Although the top view doesn’t make it look like having a big seat, you’ll be amazed to see the elongated bowl that gives more room and a comfortable seating as well. I won’t admire the height that seems a bit low. If you are a tall individual, you’ll find a bit difficult. What’s more interesting is it motion activated opening and closing of the seat and cover. In simple, your hands remain clean. Although it is a compact toilet seat, still it has a dual flushing option. One is 0.6 gallons, and the other one is 1.28 GPF. Whichever you choose, it’s always water efficient. When it comes to choosing the best products of KOHLER, the Numi and Neorest should be your first option. It has the traditional white toilet color and looks elegant as well. I will be discussing installing a toilet seat, but you can follow the instruction manual for setup. Check out kohler numi price and more details on Amazon. 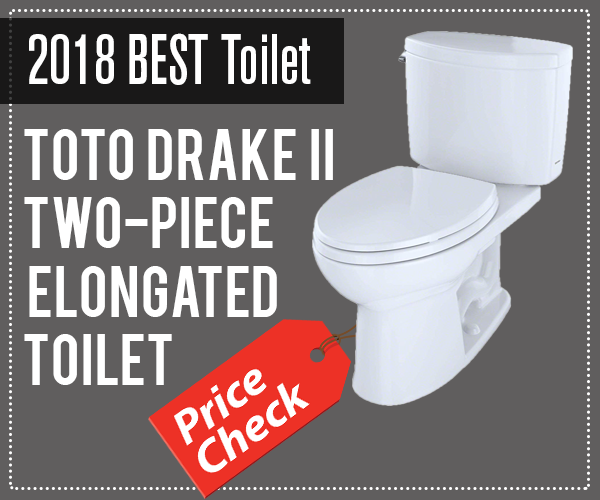 There are some other top rated dual flush toilet reviews, take some time and have a look. One thing which makes this toilet different from other automated style toilet is that it brings music and entertainment facility. You can play your favorite songs while sitting on a heated seat. Warm air from floor-level vents heat up the floor surface and keep the area around your feet warm. This compact and advanced level toilet warms up the seat according to your comfort level. What you like the most is its self-cleaning wand which let you adjust water temperature and pressure. You have multiple options to choose from when it comes to water spray. Integrated air drying makes it possible for you to do the efficient drying. User-presets keep the memory of different users requirements and preference and work accordingly when the time arises. Not suitable for people who like classic approach. Last but not the least, the KOHLER K-3393-47 San Raphael Comfort Height Elongated One-Piece Toilet (see latest price) is one of the most beautiful toilets from KOHLER. In fact, it is one of the luxurious models and an expensive one as well. You can save a couple of hundred bucks by opting for the simple white color, but its real glamor is in the almond hue. It’s a one piece toilet with a simple installation and a twin Touch flush actuator system that is water efficient as well. 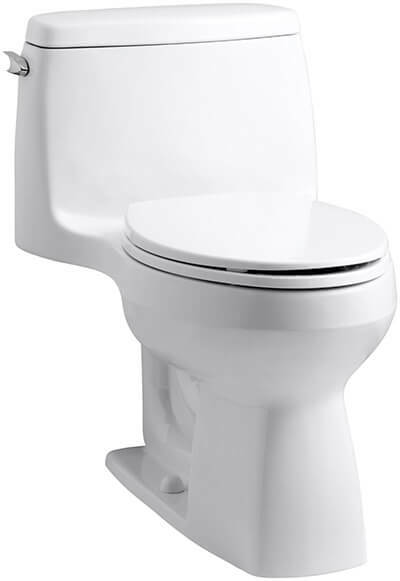 The KOHLER K-3393-47 San Raphael Comfort Height Elongated One-Piece Toilet also features an exclusive French Curve Quite Close Toilet seat along with Quick Release feature that puts the flushing mechanism on silent mode. Unlike the traditional toilet water tanks, it has a unique style. The water tank is in fact flat and this saves you space and gives your bathroom a whole new decor. What’s not good about the San Raphael Toilet is it being too much heavy. You will need the assistance of another person at the time of installing it else you may end up with a broken ceramic. Check out its price and more details on Amazon. Kohler San Raphael toilet offers an elegant touch to a bathroom with its contemporary style and low-profile. You can set it to both large and small bathroom and also in the powder room. What you like the most about this design is its pressure vessel technology, so you can expect commercial-grade flushing from it. Its design is eco-friendly since it comes with the 1.0-gallon flush. Its elongated height and ergonomic designs make it super comfortable. If you have purchased any of KOHLER toilet then you need to install it. We are going to share a step by step video of installing KOHLER toilet in the below given video. Watch this video, it will be really helpful for you. 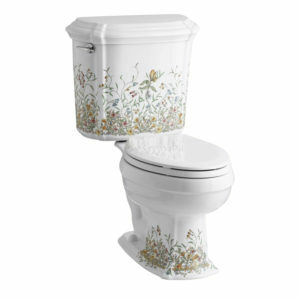 We have talked about different best kohler toilets available today. You can choose any of them according to your requirements and usage. 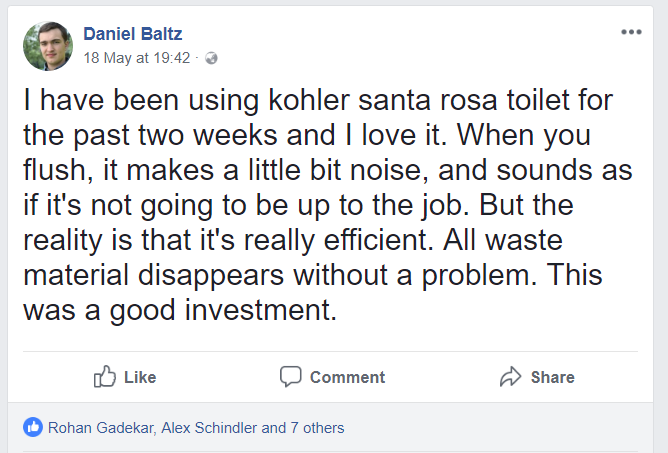 If you ask for one of the best from all, our vote will go to the Kohler Santa Rosa, because its an efficient toilet, and has tons of features in the reasonable price. If you are ready to spend extra money then Kohler Numi, Memoris, and San Raphel are indeed the best option. They might not save your money but you can save water through these models. In addition, you can enjoy the best flushing technology and mechanism from them. When you have a tight budget but still need a fully functional toilet then Highline Classic is what you need to consider. Rests of models from Kohler are great in terms of design and performance. No matter what you pick, you will have to face no toilet running problem. Moreover, they are quite easy to install and clean.